Sony's new CEO Kaz Hirai is hard at work restructuring the company, reshuffling departments and rolling heads. 10, 000 heads, to be precise, as that's the alleged shrinkage in work force Sony is planning, amounting to about 6% cuts. Today Sony issued a warning that its loss for the fiscal year that ended March 31 will be more than it estimated before, due to tax liabilities, to the tune of the staggering $6.4 billion. That is more than double the previous estimate, just to put things in perspective, and is valid for the company as a whole, not only for its mobile business, of course. Unpleasant slap in the face indeed, but Kaz Hirai already said Sony will be getting out of doldrums this year by refocusing towards its winning businesses, like mobile and the PlayStation franchise. He also announced the "One Sony" initiative, for consistent user experience across all of the company's electronics. 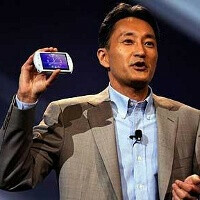 Sony's new CEO expects the restructuring to be complete this year, and the company to be profitable, so we'll keep an eye on the financials and wish one of the best Android manufacturers to pull through this tough period quicker, so it can grace us with more excellent devices like the Xperia S and gang. This guy is honest from the beginning, I'm sure he's doing a good job. Love Sony phone designs, sleek, modern, futuristic, with great camera tech. But using Adroid doesn't fit their image. They need something from the ground up if they want to integrate their products. Would love to see WP on Sony design. Too bad bad though conflict of interest. just imagine Sony PS tile and Xbox live tile in one phone. Deal breaker for me, two for one. agreed with your comment right there... but I'm thinking why not integrate the whole OS of playstation 3 to Sny Mobile devices so it could get out of android and create its own path?